The most advantageous rates are those for 7 nights with the beginning and end of the stay on Saturday. 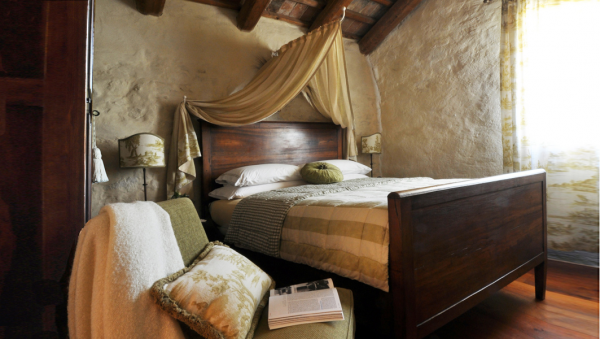 Lovely queen-size bedded doubleroom overlooking the garden and the vineyard. 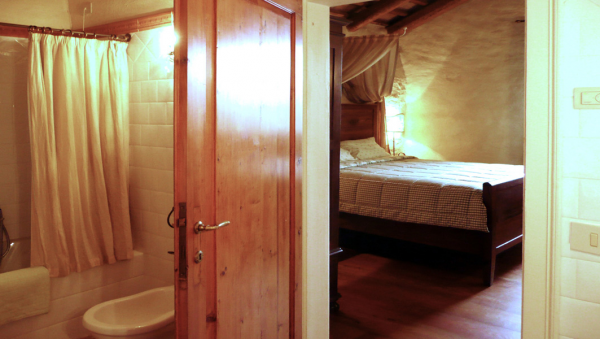 Elegantly furnished, has wooden beam ceilings, larch-wood planked, small refrigerator, free wi-fi, electric kettle and en-suite full bathroom. -outdoor dining furniture: reserved table under the portico or in the garden. Common areas: living room, barbecue area, outdoor sunbeds, 6 meters round pool. -services included : final cleaning. if cancelled between 7 and 0 days prior to arrival, the entire sum will be withheld.